On Monday, August 20, 500 workers from different parts of the Haft Tapeh sugar cane factory continued their strike for the third day in a row. They are protesting non-payment of at least three months of their salaries and benefits, and failure to materialize deceptive promises of company directors, including the hiring of daily paid workers, as well as the employer's refusal to pay their premium to the social security account and the separation and sale of agricultural land and industrial estates. Workers demand the formation of independent labor councils. On Sunday, the anti-riot guards attacked the striking workers with tear gas, pepper spray, clubs, and knuckles, and arrested five protesting workers. The detainees were released as a result of protests by other workers. According to government media, nearly 350 workers of the manufacturing unit, who must have been retired since months ago, are forced to continue to work without pay because of the refusal of the employer to pay for their premiums. The total plundered premium of these workers is estimated at 50 billion tomans. Officials of the regime have so far avoided any action and response to workers' protests and to address workers' problems. In Ahvaz, the workers of the National Steel Group gathered in front of the National Bank in protest against the failure to pay four months' salaries and a shortage of raw materials for the second day.  In the first hours of Monday, August 20, the frustrated people of Marivan, especially in the Asrabad district, gathered in the city hall to protest lack of garbage collection and pollution, and chanted slogans such as “Damn mayor, until when you are so irresponsible?” and “shameful authorities must resign!”. The protesters did not buy into the deceptive promises of the governor and the commander of the security forces and set fire to the bulk of garbage in front of the municipality building at the Baiweh crossroads.